Roughly 3.2 million people will likely switch from Affordable Care Act coverage into newly expanded “association health plans,” according to an analysis from the consulting firm Avalere. Most of them would be leaving the ACA’s marketplace for small businesses, rather than for individuals. Why it matters: The repeal of the individual mandate will draw a few million people out of ACA coverage. Separate administrative actions, a few million more. And the 3 million from association health plans, on top of that. Each of those policies may not be fatal to the ACA on their own, but they're cumulative. 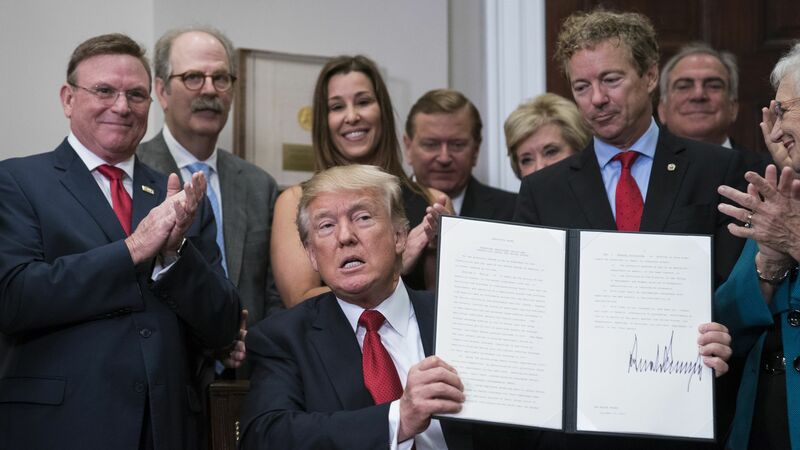 Association health plans allow similarly situated consumers to band together and buy health coverage as a group, and they’re a cornerstone of the Trump administration’s effort to bolster non-ACA insurance options. Between the lines: Avalere expects the annual premiums for an association plan to be almost $3,000 lower than the cost of ACA-compliant small-group insurance, and nearly $10,000 lower than the cost of an individual ACA plan. That’s mostly because they’re expected to offer skimpier benefits and have more flexibility to vary individual enrollees’ premiums. Because association plans will likely to appeal to healthier people, Avalere expects the new rules to raise ACA premiums by about 3.5% for individuals and 0.5% for small businesses.